Waiting on production of more frames; hoping to have these available by 5/1/19. 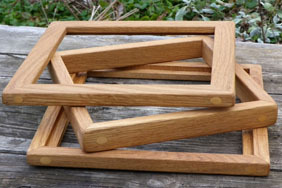 These sturdy, weather-resistant frames are handmade from white oak, and coated with linseed oil. 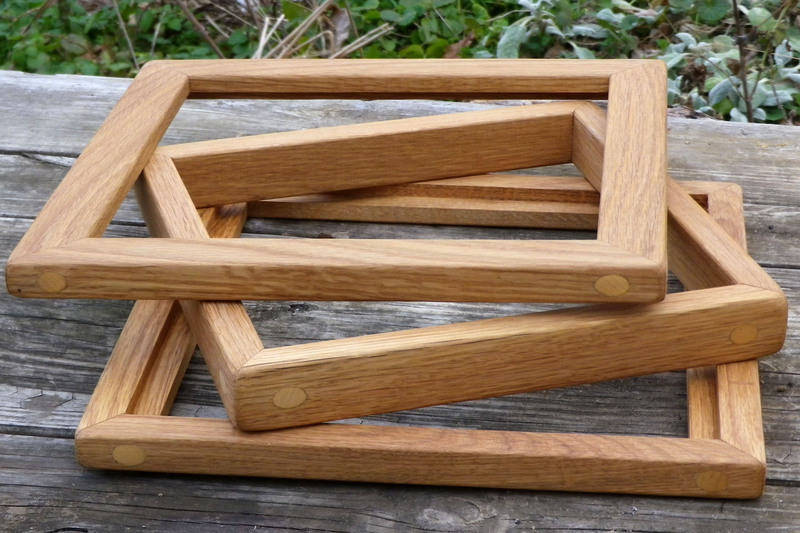 This set of frames holds two of our seed-cleaning screens (not included). Nest a screen inside the routed bottom piece. Place the second piece to hold the screen in place. Place a second screen on top, and place the third piece, routed-side-down, to hold the second screen in place. The 3 pieces together weigh about 3 lbs 9 oz; exterior dimensions are 13 in. x 13 in. x 2 5/16 in.